Our products are developed and tested under the toughest conditions and have proven to live up to extremely high quality standards. Why? We are determined to deliver a product that meets the rigorous expectations of our customers. And in case you're wondering how we can be so sure of the quality of our products, just rest assure that the selection of our suppliers and manufacturers is based on careful screening processes that guarantee excellent products for you. Why should you purchase this bundle? This extremely useful emergency survival bundle is the perfect choice for all adventurers who understand the importance of proper functional tools. 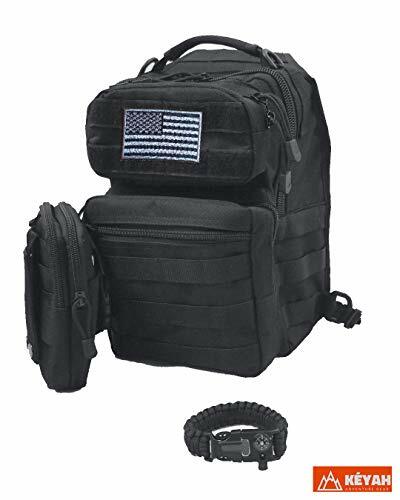 The extra-resistant shoulder sling backpack, multifunctional survival bracelet and MOLLE waist pouch will make sure you have everything you need while at the range, on hiking or camping trips, or even casual day use! 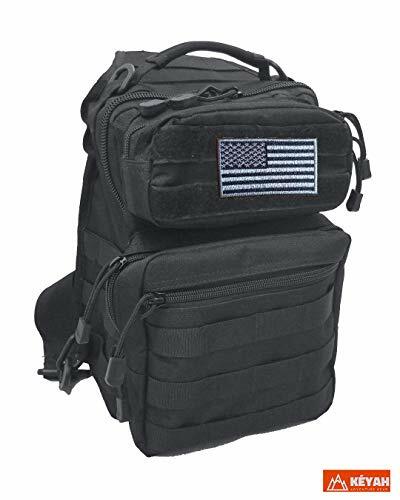 ADD TO CART NOW and you’ll fall in love instantly with this useful tactical survival kit! WHAT YOU NEED: Being a true adventurer, you understand how important it is to leave the house having proper emergency equipment which would be useful in a survival situation. If you're looking for a practical bundle, we offer the perfect solution! 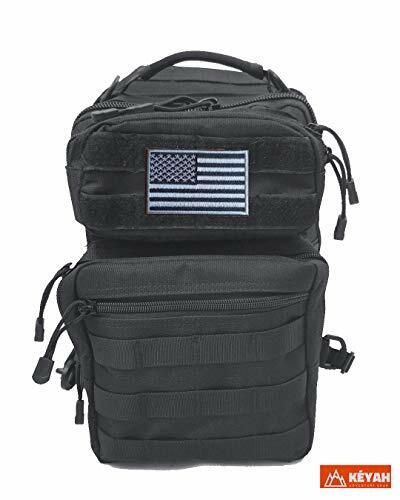 TACTICAL SLING BACKPACK: This survival bundle includes a premium quality, ultra-resistant tactical shoulder sling backpack made with durable 600D polyester guaranteed to withstand the test of time and harsh conditions. 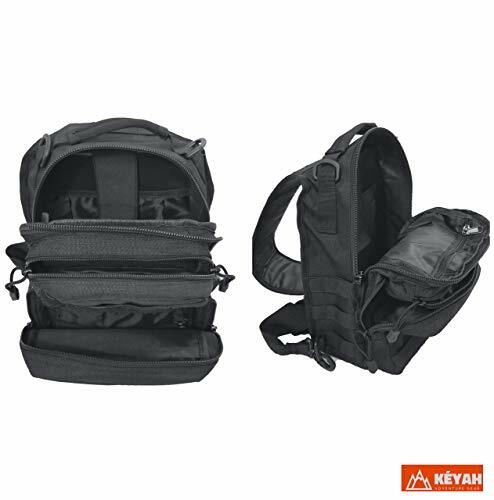 The adjustable shoulder strap is extra comfortable, while the multiple pockets are extremely practical and provide storage room for all your important items! 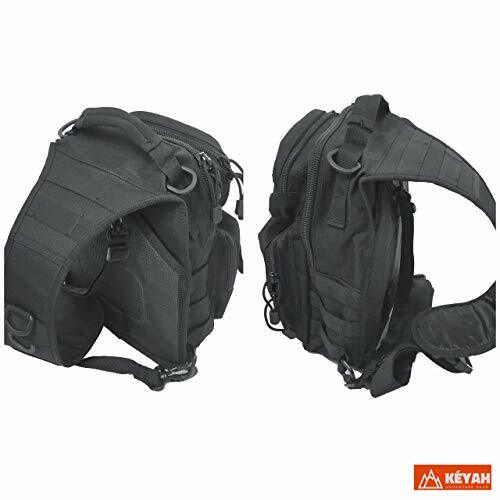 Sling pack size: 12 * 9.5 * 6 inch (H*W*D), enough for carrying 9.7 iPad, notepad, keys, wallet, cell phone, flashlight. 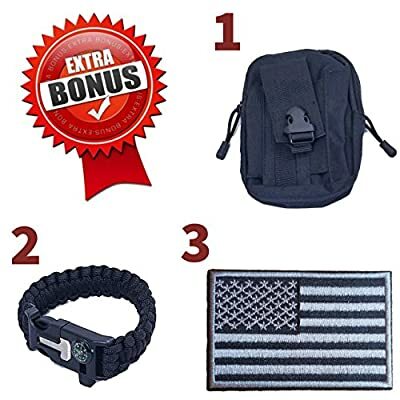 SURVIVAL BRACELET: Order this amazing tactical bundle and you'll receive a multifunctional emergency bracelet, a 4-in-one lightweight and comfortable design including a flint fire starter, compass, a whistle and paracord, your own personalized survival kit which can be used for all kinds of outdoor activities! MOLLE UTILITY POUCH: Keep your smartphone, keys, documents or photo gear within immediate reach with this MOLLE EDC waist pouch, the ideal solution for organizing your items according to your needs. The smart design of the straps is suitable for tactical and military belts while the Cordura nylon provides the resistance you need in extreme conditions. 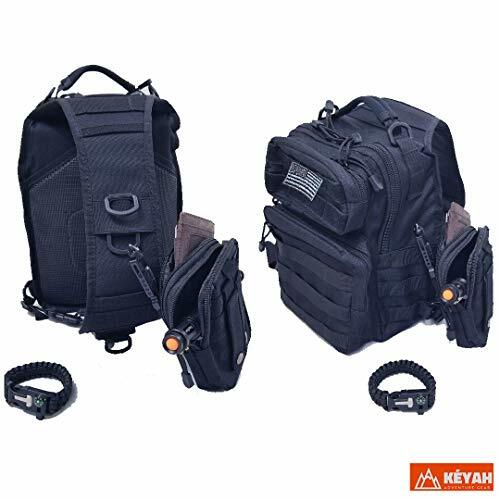 BEST DEAL: Order this useful tactical set for yourself or as an original birthday or Christmas gift for a close friend, and you'll be sure to win their appreciation! This great bundle comes as an excellent package deal and will save you the money and time, rather than buying the items individually!